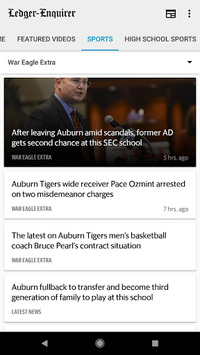 Connect to the new Columbus Ledger-Enquirer Newspaper’s Android app wherever you are. 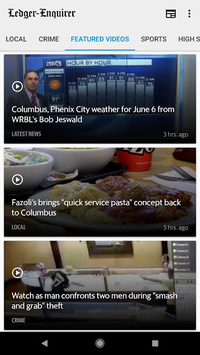 Receive the latest local and breaking news from Columbus, Columbus and Chattahoochee Valley in Georiga. 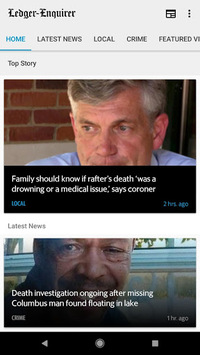 The Columbus Ledger-Enquirer and Ledger-Enquirer.com reports on the local topics you care about including local, weather, traffic, crime, sports and national news. • The local news and sports topics you care about from around the Columbus area. • The Columbus Ledger-Enquirer opinions, editorials, and columns you love. We fixed some bugs that prevented content from refreshing on app launch.